James Hugh Loden was born on May 1, 1928 to Archie Lee 'Pop' Loden and Della Burleson Loden, who operated a 300 acres farm outside Hackleburg, Alabama. His parents were amateur musicians, and his sister Thelma Lee Loden Holcombe also played instruments and sang from an early age. By age three he was playing a mandolin and singing and was dubbed "Sonny Boy". In 1933 the family appeared on a radio audition which resulted in their being offered a regular Saturday slot on Muscle Shoals, Alabama radio station WMSD-AM. About this time the parents volunteered to raise an Alabama girl named Ruby Palmer, and soon Ruby was also part of the musical group, and the singing Loden Family, later billed as Sonny Loden and the Southerners, was soon playing theaters, auditoriums and schoolhouses throughout the Southern United States. To this point the musical appearances had been a part-time effort for the family, as they returned after each gig or tour to work the family farm. After a few years the father decided they were professional enough to immerse themselves into the field full-time, so the father leased out the farm and they took a daily spot on radio station KLCN, where they provided early-morning accompaniment for the area's early-risers. After that they had spots on several other radio stations around the South. In 1949 they returned to Alabama, with a show on radio station WSGN in Birmingham, Alabama. Near Christmastime that year, the two girls were married in West Memphis, Arkansas in a double ceremony and left the group. 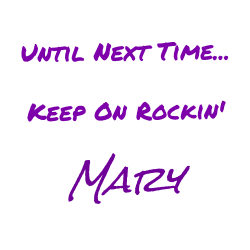 The parents found other girls to take their place, but the group soon disbanded (the parents returned to Hackleburg and opened a clothing store, where James worked while belatedly finishing his final year of high school). During the summer of 1950, James worked with a band, sometimes singing but he was most useful as a guitar player on the Memphis, Tennessee radio station WHBQ. His work at the radio station was interrupted near the end of the summer when James' National Guard unit was activated to participate in the Korean War. On September 9, 1950, his Alabama Army National Guard unit was sent to Korea, returning home in the fall of 1951. Loden was honorably discharged and moved to Nashville, Tennessee where he signed with Capitol Records with the help of Chet Atkins, with whom he had previously roomed. Capitol Records exec Ken Nelson asked him to drop his last name professionally as they believed there were already several musicians named Loden, Louden or Luden, and that "James" would be easier to remember: "The smallest children can remember Sonny James." So he released his first studio record as Sonny James. Later, because of his polite ways, he was called "The Southern Gentleman". While appearing on Louisiana Hayride, he met musician Slim Whitman. James' performance on stage playing a fiddle and singing brought a strong crowd response, and Whitman invited him to front for his new touring band. James stayed with Whitman's group for only two months when Whitman felt he had to do some club work to keep up his income to be able to pay his band. The Loden family had only appeared in schoolhouses and such and Sonny agreed to stay on for a few shows until Whitman could find his replacement. For the remainder of his career he never played a club performance. Over the next few years, he had several songs that did reasonably well on the country music charts and he continued to develop his career with performances at live country music shows. He also appeared on radio, including Big D Jamboree, before moving to the all-important new medium, television, where he became a regular performer on ABC's Ozark Jubilee in Springfield, Missouri beginning in October 1955. Following his long streak of #1 hits, James is also remembered for his 1975 #6 song "A Little Bit South of Saskatoon" that was in the 1977 Paul Newman hockey comedy Slap Shot. 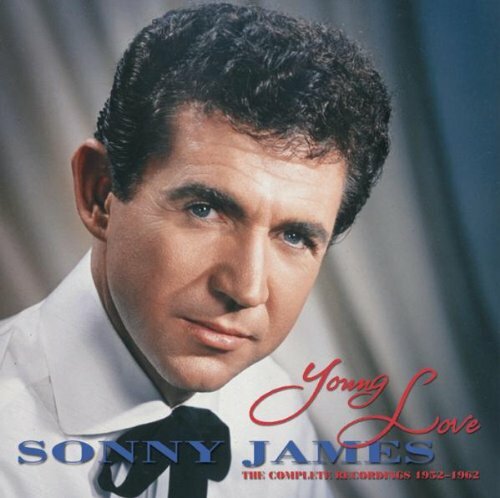 In 1956, as rock and roll was just beginning, Sonny's multi-million selling single Young Love became a #1 country and pop hit, one of the first such crossover hits by a country artist. In 1957, James became the first country recording artist to appear on The Ed Sullivan Show. In 1961, honoring his contribution to the music industry, James was honored with a star on the Hollywood Walk of Fame at 6630 Hollywood Blvd. In 1967, along with Bobbi Gentry, James hosted the first CMA Awards show. 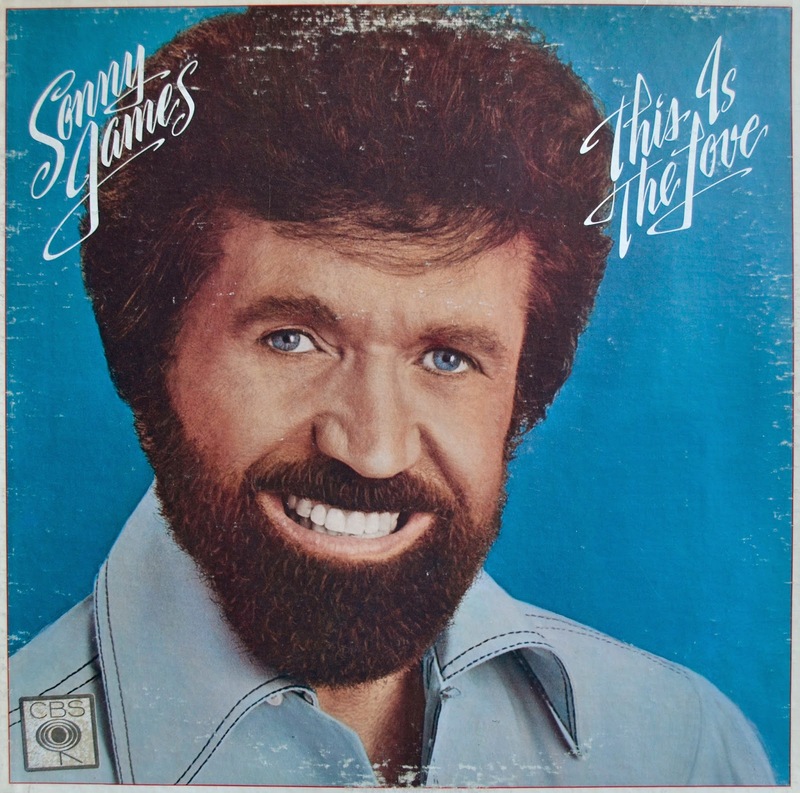 From 1969 thru 1971, Sonny became the first country artist to achieve a feat previously not done in the country music industry: In the middle of his highly successful run of sixteen consecutive #1 hits, of the next seven singles that James released, five had previously been moderately successful releases for soulful R&B artists Ivory Joe Hunter, Brook Benton & Clyde Otis and Jimmy Reed. Those five songs were Since I Met You Baby, It’s Just A Matter of Time, Endlessly, Empty Arms, and Bright Lights, Big City, all of which hit #1 on the Billboard country charts. 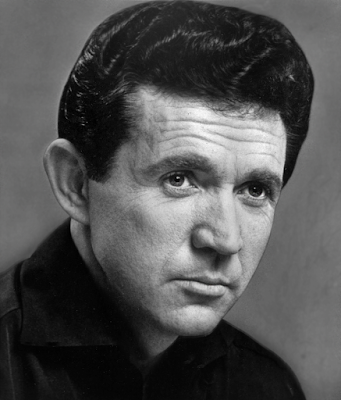 In 1969, Billboard magazine named Sonny James Country Music's Artist of the Year. In February 1971, James was the first country artist whose music went into space; he made a special music recording for the crew of Apollo 14. They later presented him with one of the small American flags that they had carried to the Moon. In 1973, James produced Marie Osmond’s first three albums. The first single “Paper Roses” reached #1 on the Billboard Hot Country Songs chart less than one month after her 14th birthday. Osmond thus became the youngest female and overall youngest solo artist to ever reach the No. 1 position on that chart, a record that still stands as of 2015. In 1987, Sonny was inducted into the Alabama Music Hall of Fame. In June 2001, honored with the Male Golden Voice Award. In November 2001 received the Master Achievement Award / R.O.P.E. Award. In June 2002 honored by the Country Music DJ Hall of Fame and Country Radio Broadcasters with the Career Achievement Award. On November 6, 2006, he appeared on television for the first time in nearly 20 years when presenter Kris Kristofferson announced on the ABC television network's Country Music Association Awards that Sonny was to be one of its newest inductees. Sonny's acceptance speech opened with the words, "I want to thank my Good Lord for the career He has given me." In 2009 James was inducted into the Hit Parade Hall of Fame. On August 15, 2015, exactly 51 years to the day when he first teamed up with The Southern Gentlemen in 1964, James was inducted into The Birmingham Record Collectors Hall of Fame. Gary Robble, one of The Southern Gentlemen, accepted the award on behalf of James and all of The Southern Gentlemen. James died on February 22, 2016 in Nashville, Tennessee at the age of 87.